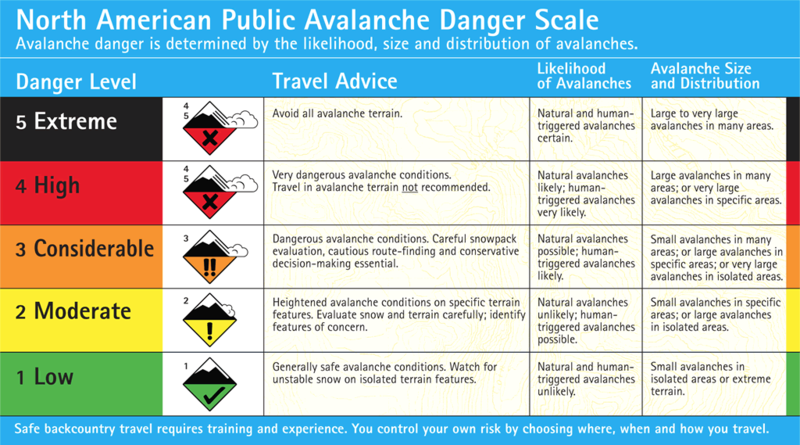 The avalanche danger is MODERATE for the West Central Montana backcountry. Avalanches are a possibility in specific terrain. Carefully evaluate terrain and snowpack to identify areas of heightened concern. Good morning, this is Logan King with the West Central Montana Avalanche Center’s avalanche advisory for Saturday, March 31st, 2018. This danger rating does not apply to operating ski areas, expires at midnight tonight and is the sole responsibility of the U.S. Forest Service. The weather is variable across the region. The northern portion of the advisory area has temperatures in the mid to upper twenties, and the wind has shifted to the East. At Point Six wind speeds are 15 mph gusting to 25 mph from the ESE. Minimal snow accumulations for most locations except the Southern Missions where 7 inches have accumulated. The Southern half of the advisory area is still experiencing westerly winds at 9 mph gusting to 23 mph, and temperatures are just above freezing. Travis and I rode up Wisherd ridge yesterday. Winds continued to be strong, and snow was still available for transport. Wind slabs have gained strength since earlier this week but are suspect especially in locations where they are sitting on a crust. Wind slabs continue to be the primary concern. Wind slabs are isolated and vary in size. It is still possible to trigger wind slabs in specific terrain. Look for signs of wind loading and dig a pit to see if the snow is on a slick crust that acts as a great bedsurface for the snow to slide on. Springtime makes conditions dynamic. You may find yourself in a full-on snow storm or warm sunny conditions at any time. Carefully evaluate conditions as they change through the day and adjust travel plans and objectives accordingly. Continued scattered snow showers will prevent the avalanche danger from changing much today. Snow showers will settle out later in the day today and through tomorrow before another round of moisture sets up again for Sunday. This is the final scheduled advisory for the season; we will post updates through the spring as conditions warrant. The entire staff at the WCMAC would like to thank everyone who makes this program possible. We had another great season and hope that you did too. Thanks! If you are out in the backcountry, please send us your observations, we will continue to post them to the site this spring as we receive them. Wind Slabs are possible in specific terrain. Isolated light snow showers are forecasted today with continued wind.